First published in EdCircuit, May 9, 2018. When Do You Refresh Your EdTech? Education technology has become quintessential in today’s modern classrooms, with teachers and students expecting access to the latest and greatest in learning tools. Not surprising, right? But what is surprising is the amount of money school districts leave on the table when they delay their technology refreshes until summer. Unbeknownst to many school districts, now is a prime time to refresh student devices. Most districts conduct device refreshes in the summer months presumably because teachers, staff and students are not present. This allows IT time to focus on the task at hand, and ensure old devices are successfully swapped out for new. Schools may also fear that a technology refresh during the year will leave students and teachers without important teaching aids. The problem with this timing is that the buyback market is flooded with devices from other schools doing the same thing. Schools need to seriously consider refreshing their devices when the demand is higher, because higher demand equals higher buy-back rates per device. Waiting until summer to conduct your technology trade-ins does a disservice to your budget, students and staff. If schools refresh in the fall, winter or spring, they get ahead of the depreciation hit and market downturn that happens in summer when the market is flooded with devices. They also benefit from a higher residual value, lowering total cost of ownership (TCO) per device in the process. And if you’re considering simply hanging on to your technology past its prime lifespan to avoid selling and purchasing new iPad devices altogether, I would strongly advise against that. When a “use them until they die” approach is taken, students and teachers suffer because they cannot take advantage of the latest features and software that are only available on newer hardware. Plus, this prevents schools from leveraging the residual value of devices to help defray or buy down the next round of technology. Another scenario you may want to avoid — and I know from experience — is waiting to see if the price of an iPad goes down when new hardware is announced. With Apple’s April event becoming a trend, schools may decide to wait until summer or fall for a lower price on older models. Prior to joining Jamf as an education evangelist, I worked as an educator in a school where we tried this tactic and missed out on new and incredible education features that were offered. On top of that, we wound up purchasing anyways and conducting our refresh in September. Not ideal. All too often, school district employees think about spending money on technology devices as annual capital expenditures that are “spent down” from a budget. This can yield the behavior of buying less expensive, inferior technology or hanging onto devices past their prime usable lifecycle to save money. While a lower upfront cost may be enticing, better equipment and the right refresh timing provides schools with the lowest TCO on their devices due to the devices’ higher residual value. As K-12 school districts feel increasing pressure to justify technology costs, the goal for some is to save money in the short-run. This has led to an influx of low-cost education technology alternatives to the iPad, such as Google’s Chromebook — but at the cost of what’s best for the education experience and a school’s budget (after only a few years, Chromebook’s trade-in value may be as low as $0). When schools are mindful of the bigger picture and focus more on long-term sustainability, they provide a better experience for students, while also positioning themselves as sound financial stewards. For device orders of magnitude, leveraging an equipment buyback and four-year lease option marginalizes annual spending and creates a predictable annual capital outlay, rather than alternating years of heavy and light spending on technology. Unpredictable budgets are often the primary reason that large capital expenditures on education technology get sidelined and technology isn’t refreshed more often. However, when districts view education technology like any other essential operational expense, such as electricity, internet connectivity and water, it becomes a planned expense instead of a “nice to have.” Financing gives districts a smaller, predictable budget for devices because the cost is fixed over the term of financing — typically four years. Beyond 2018, schools need to map out their sustainability plan for the future and begin treating technology as an operational expense instead of a capital expense to have more predictable fixed costs. With a plan in place, schools can make educated decisions on what is right for the budget, and when it’s time to give students and teachers the newest in technology so they can best meet their educational goals. Given the advancement in Apple deployment programs, such as Apple School Manager, and increased mobile device management (MDM) functionality, non-summer deployments are more manageable than ever before. Thanksgiving or spring break are potential options for IT, or schools can turn-in and deploy iPads in stages throughout the year. Starting with one classroom or grade ensures that technology is still readily available — even during a refresh. 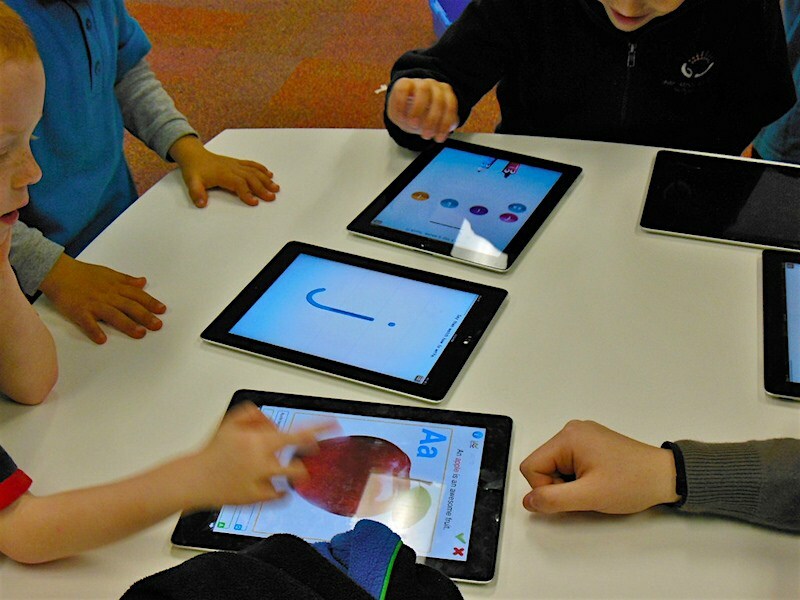 With an iPad refresh strategy, schools can be confident of a seamless transition. Then, IT directors can sit back while the budget, teachers and students reap the rewards.